From its picture-perfect fjords to breathtaking mountains to fairytale-like cities, Norway; in Europe; is a lovely visual bonanza. With a postcard-like landscape that can be experienced through hiking, boating and long drives. Norway is known for its stunning natural phenomena like the mesmerizing northern lights and midnight sun. 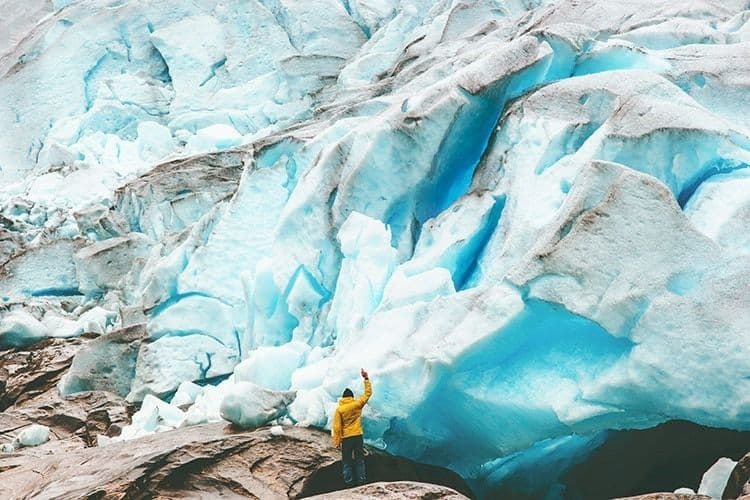 Norway is a year-round adventure that is brimming with stories of an incredible past, countless cultural expeditions and tons of outdoor things to experience. Find its little known architectural gems, lovely rural communities and a huge collection of artefacts. Here are our recommendations for the top 15 places in Norway that you should add to your bucket list! Once you know which of these places you want to see, you can easily organize your itinerary with the top things to do in Norway. 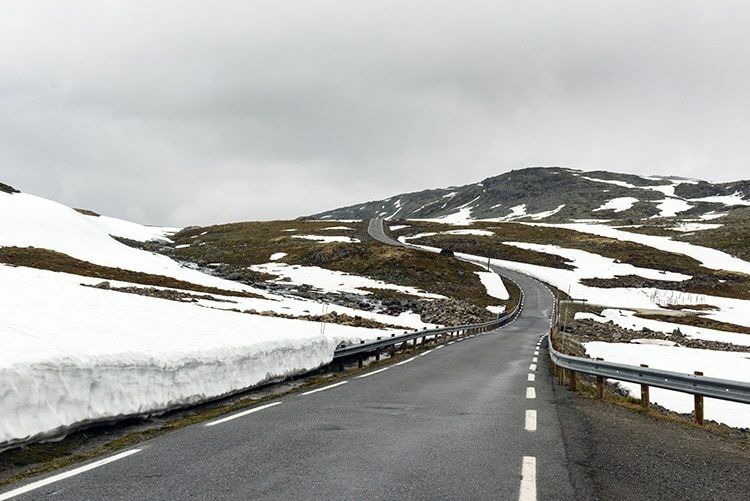 The gorgeous Aurlandsfjellet snow road is a 47 kilometre stretch of road which is only open to the public during the summer because the heavy snow in the winter makes it too dangerous to drive on. It gets its name because of the snow walls that line the road even in the summer. One of the most well-recognized fjords in Norway, Lysefjord is where you can find fantastic hiking trails to Pulpit Rock and Kjeragbolten. It also known for having beautiful camping spots with fantastic views! 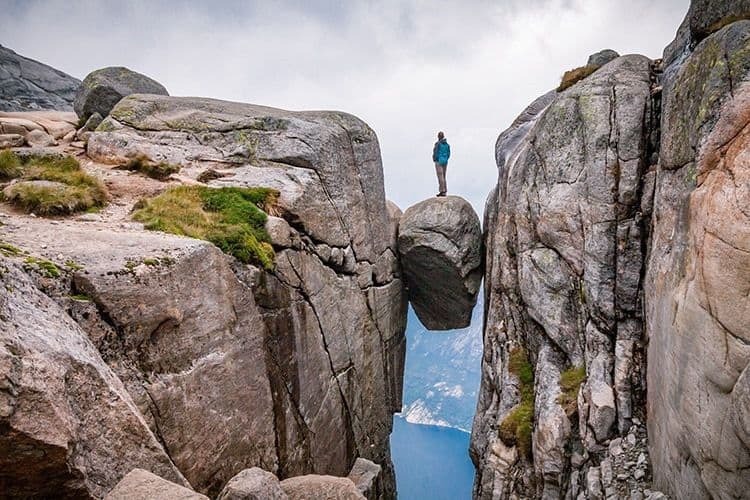 Many people recognize the infamous Kjeragbolten, a free hanging rock impossibly wedged in a mountain crevice overlooking Lysefjord. For many people, this is what sparks the desire for them to visit Norway. Getting up there is not for the faint of heart though. 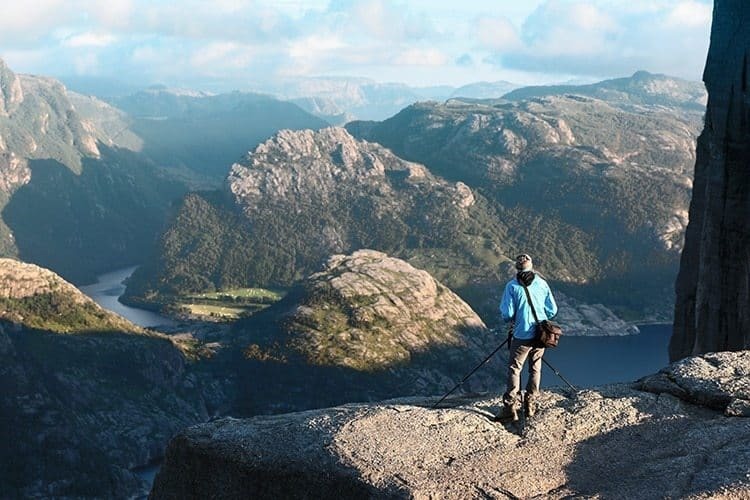 An 8-kilometre hike with a 500-metre climb is a daunting trek but Kjerag makes it worth the effort. You can even stand on Kjerag rock if you are careful! The sculpture park in Oslo is a site everyone should experience…and what an experience it is. There are sculptures representing the circle of life, upset babies, nakedness and monoliths. 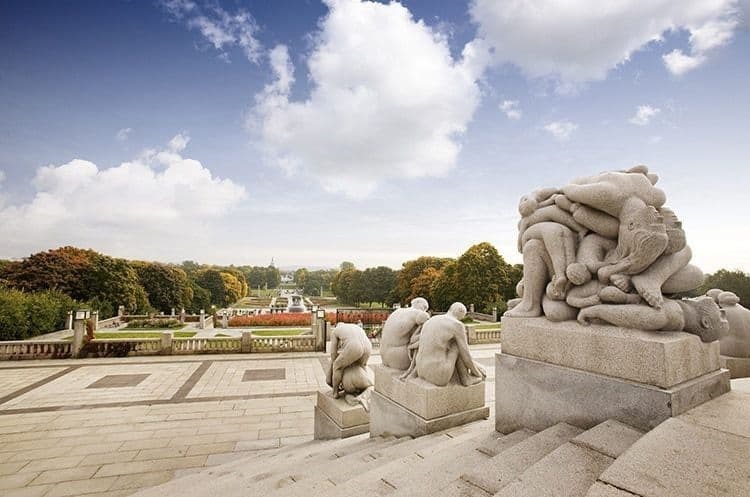 Vigeland Sculpture Park is the work of Gustav Vigeland and all of his sculptures on display represent the Human Condition showing how complex relationships are. 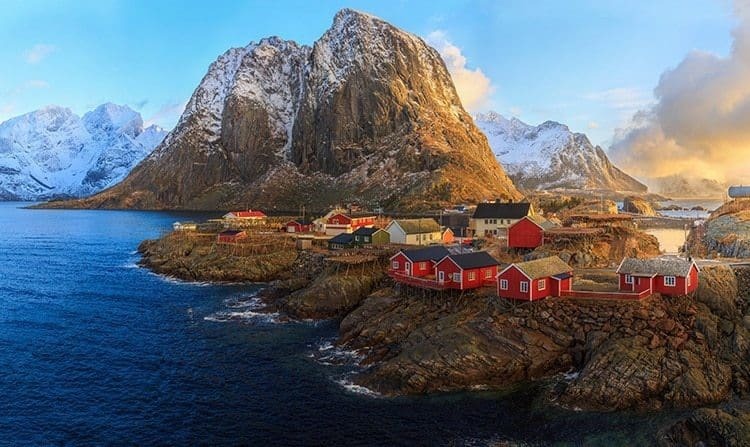 The Lofoten Islands offer truly unique scenery, from impressive alpine mountain peaks, stunning fjords and colourful tiny fishing villages. Grab your camera and snap some photos of Svolværgeita pinnacle, Himmeltindan Mountain as well as some of the famous villages. You might also like to stop in at the nearby Lofotr Viking Museum to learn more about Viking longhouse reconstruction. 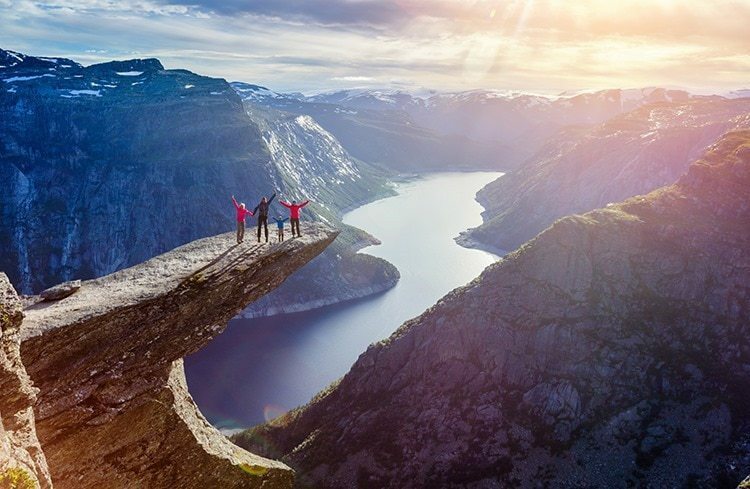 The picture-perfect Pulpit Rock, which juts out into the Lysefjord, is another one of the most recognizable places in Norway. A pretty straightforward hike will take you to the summit of Pulpit rock where you can gaze into the Fjord below! 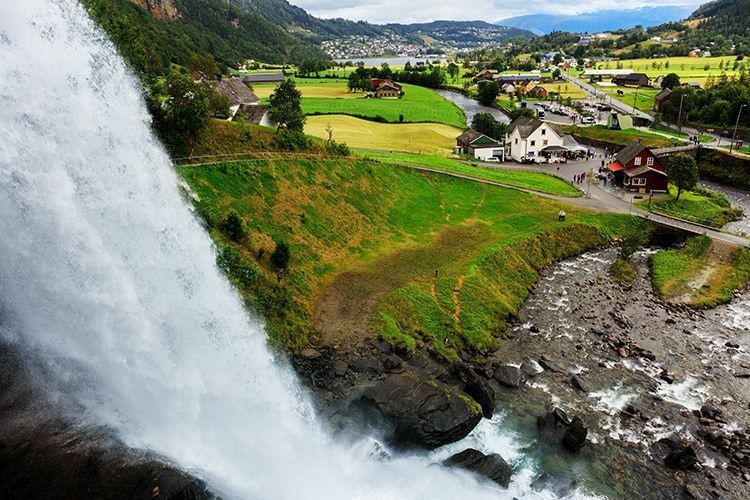 Waterfalls are all over the place in Norway but the best place to view one is the viewing area behind Steinsdalsfossen. Walk alongside the waterfall to see the force of the waterfall and feel the spray of the water. 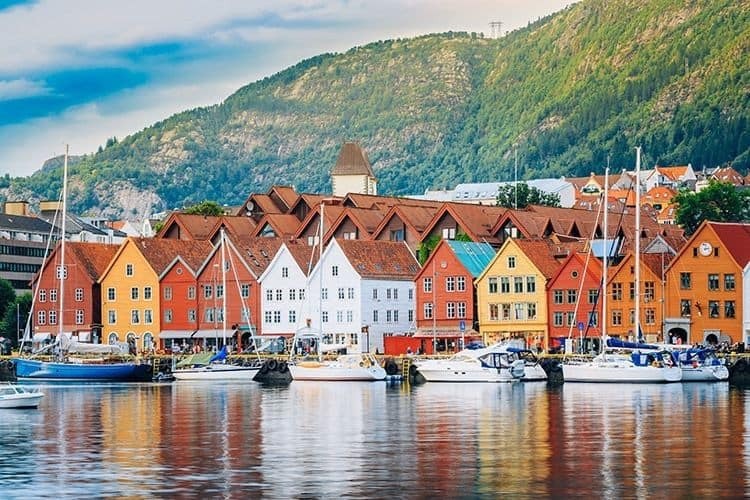 Located in the beautiful city of Bergen, the old section of Bryggen is a bunch of stacked wooden buildings that are from the 12th Century and all line the city’s waterfront. There are wooden alleyways that are lovely and inviting. There you will find an assortment of museums, bars, boutiques and restaurants. This area is a UNESCO World Heritage Site because of its historic history of trade and the 61 preserved buildings which remain. 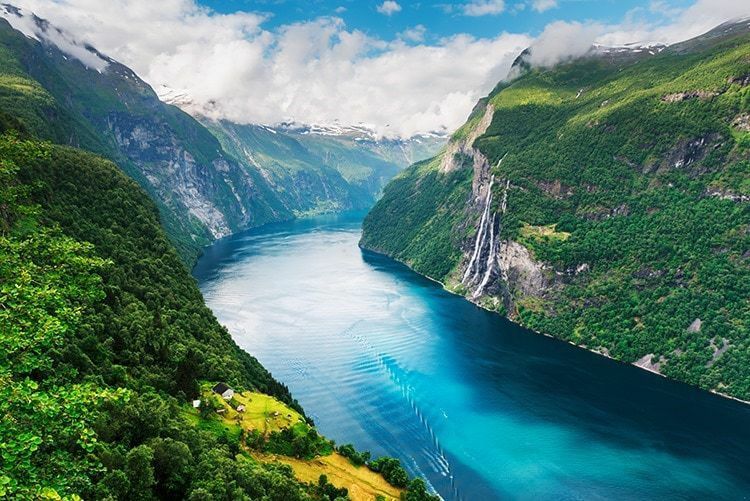 Geirangerfjord, which is part of the west Norwegian fjords, is one of the most recognizable Norway places to see. The huge fjord has some very stunning views; the most enjoyable of which is the viewpoint from Flydalsjuvet. From here the size and scale of this mesmerizing fjord can truly be seen, with the giant cruise ships that are always in the area looking almost toys like in comparison! Or maybe you might like to enjoy this fjord on a cruise yourself; cruises are a great way to escape the winter cold! 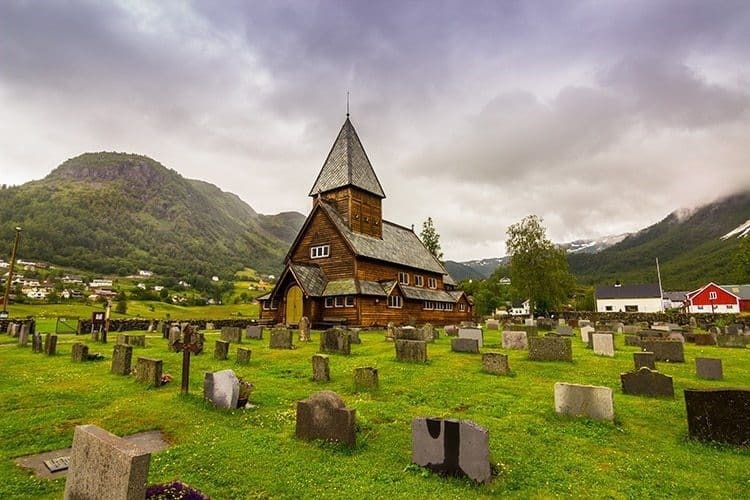 Along the shore of Lustrafjord is one of the most breathtaking Stave churches in Norway. Marked as a UNESCO World Heritage, the medieval Church is very special. Keep in mind that this is only accessible by car ferry, so make sure to enjoy the boat ride as well! Surrounded by tall mountains and huge waterfalls, Naeroyfjord is perhaps the most scenic place in Norway. This is a very popular spot to rent a log cabin, and there is no question as to why. Being tucked between the mountains and waterfalls, snow as far as the eye can see, it feels like a magical wonderland. Trolltunga! 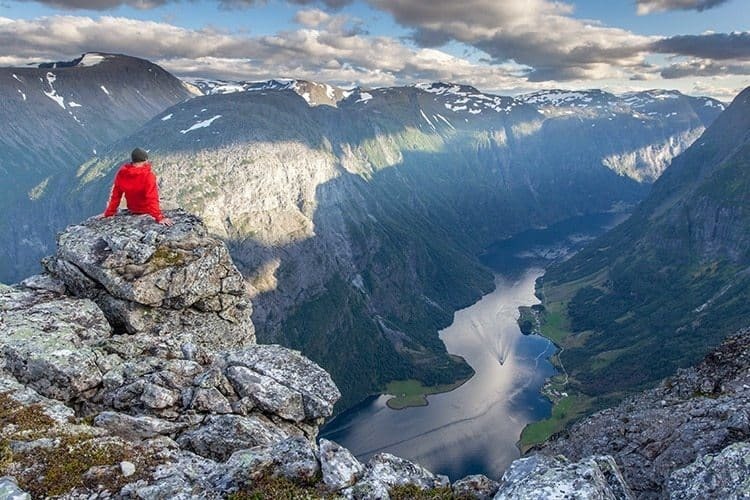 I’m sure you have seen photos of Trolltunga whilst researching your trip. If you don’t mind a bit of hiking; okay maybe more than just a ‘bit’ (10-12 hours); then this is a great addition to your itinerary. Trolltunga is located around 27,5 km in total from Skjeggedal (which is where you will start your hike). 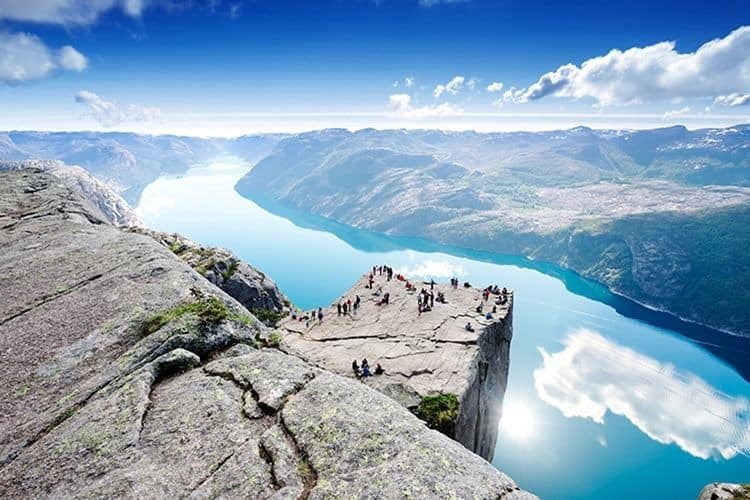 It offers breathtaking views with its great vantage outlook, hovering 700 metres above lake Ringedalsvatnet. 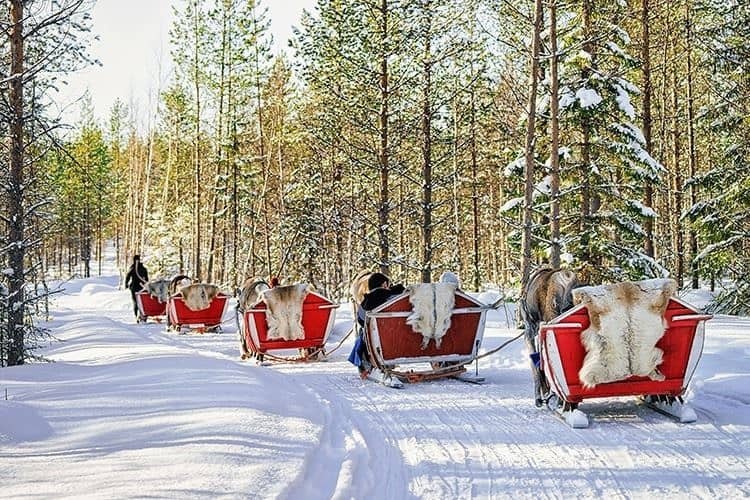 Lapland is a truly unique winter destination. It is Norway’s northernmost region and it’s known for its vast subarctic wilderness. It is the largest and least populated county in Norway. People make the journey to Laptop to enjoy one of the many ski resorts, try out an ice hotel experience; as well as to hopefully see the Northern Lights dancing in the sky. 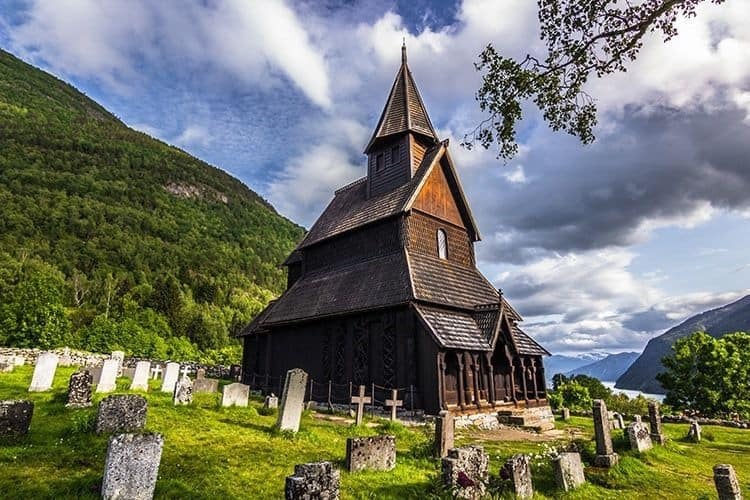 Roldal Stave Church is the perfect destination for any history lover. Legend has it that the large crucifix in the church has healing properties. Once a year, the crucifix hanging over the alter sweats and that sweat is believed by some to have healing properties. Pretty fascinating isn’t it! No trip to Norway would be complete without a visit to an ancient blue ice glacier. The Nigardsbreen glacier is the easiest part of the Jostedalsbreen Glacier to visit. The Jostedalsbreen Glacier is the largest in Europe. Accommodation in Norway: We always start our accommodation research with Hotelscombined. This site makes it super easy to compare accommodation across various booking engines so that you can simply pick the best price for the accommodation of your choice. We also often book through sites such as Airbnb, especially when we travel in Europe as it allows for massive savings on accommodation. 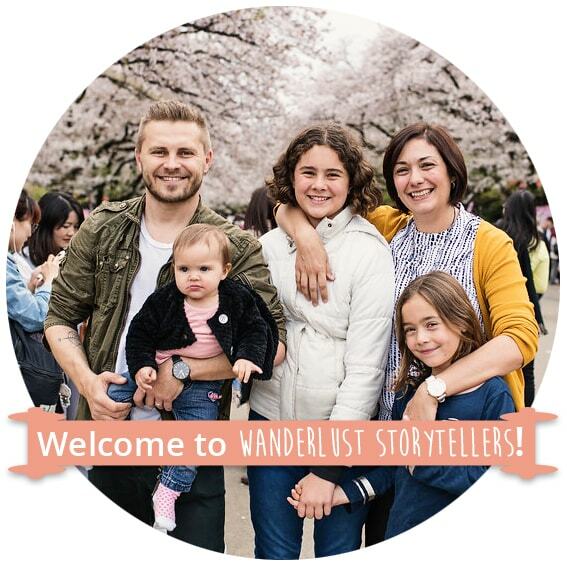 Click to grab a coupon for your first stay! Flights to Norway: We personally book our flights on Cheapo Air, we find that they are often the cheapest (even in comparison to Skyscanner). Click to check on prices for your flights. Car Rental in Norway: The best car rental company in Europe is Auto Europe. Auto Europe is a car rental booking service that quickly compares car rental prices across all the major brands like Hertz, Avis, and Europcar. Click to see prices for car rentals. And there you have our list of the most beautiful places to visit in Norway. We would love to know which of these you have included as part of your list of things to see in Norway. Please leave us a comment below. Btw, Lapland is located in Finland.